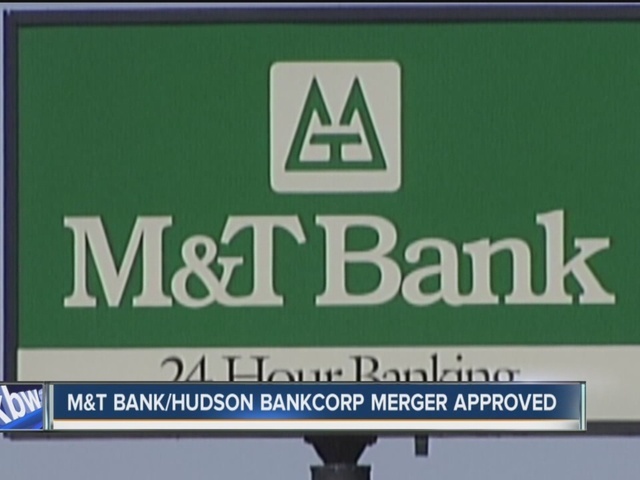 It took more than three years and cost $5.5 billion but the Federal Reserve has finally approved M&T Bank's merger with Hudson City Bankcorp of New Jersey. The merger will greatly expand M&T's presence in New Jersey, Connecticut and NYC where Hudson has 135 branches. The long delay was created when regulators forced M&T to clean up its anti-money laundering and bank secrecy act programs. That cost the bank millions of dollars. M&T now says the closing date for the merger is set for November 1st this year and Hudson operations will be folded into M&T sometime during the first quarter of next year.